Pale pink in colour with fruity and intense aromas of citrus and passion fruit on the nose. On the palate it is velvety and persistent with balanced freshness and roundness. Dry and elegantly poised with mouth-watering flavours of red fruits, blackcurrants and raspberries and subtle hints of white flowers. Salmon pink in colour with floral hints and blackcurrant aromas. On the palate it is dry, round and fresh with good length. Pink in colour with slight orange notes. On the nose it displays a wealth of minerals and great freshness. 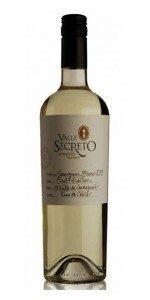 The palate is elegant with a lovely finesse with touches of citrus and grapefruit combined with peach.